Aspire Woman is a multi-year initiative aiming to empower 25,000, train 5000, and create job opportunities for 1000 young women. Microsoft celebrated the International Woman’s Day 2015 with the launch of its new program Aspire Coding, a new program aiming at developing next generation ICT Developers in Aswan in partnership with Om Habiba Association; the launch of Aspire Khan e-shop in partnership with AWTAD Association and with several workshops and events with a number of international and local partners including Artisans fairs; Mentorship events and workshops for 400 university leaders. 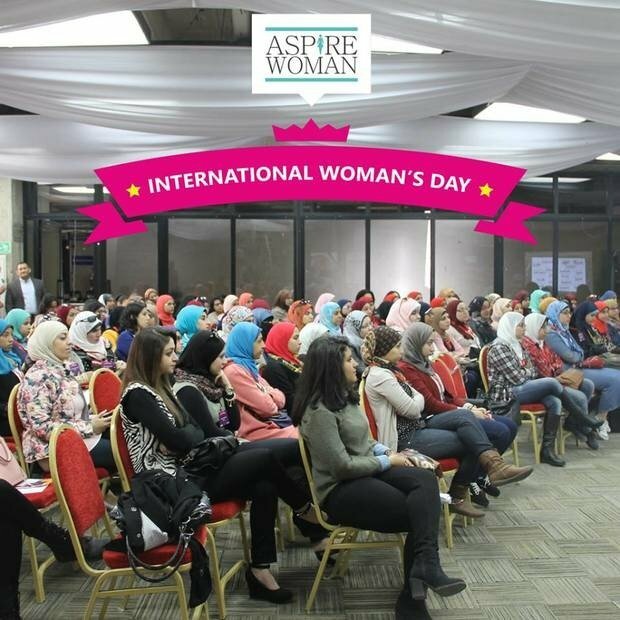 “As part of the Aspire Woman Initiative, we want to give the opportunity to our young leaders and mentors to celebrate the International woman’s day showcasing the impact that women have on the Egyptian society and empowering them to take leadership roles and be prepared for the challenges they face at professional level,” said Ghada khalifa, Microsoft Citizenship. Aspire Woman is a multi-year initiative aiming to empower 25,000, train 5000, and create job opportunities for 1000 young women. The initiative three pillars are Leadership to create next generation women leaders; economic empowerment and civic participation. professional women with female university students and fresh graduates through a mutually beneficial exchange of experiences in addition to creating a support network for women to empower women socially and professionally. “I have come to celebrate the International Woman’s day because I share in to this dream that women will one day overcome the obstacles they are facing in society and will have the opportunity to realize their dreams. In order to make this dream come true women need to constantly work on building skills and self-esteem.” Mai Abu Serie, Ain Shams University. from economically disadvantaged regions of Egypt. In celebration of International & Egyptian Woman’s Day, Microsoft Egypt launched Aspire Code program in Aswan to develop the skills of young women on coding. Coding provides young women with problem solving skills, analytical thinking and increase self-confidence. Additionally it encourages young talented women to pursue a career in computer science. The celebration ends with an event for Aspire Woman University Clubs providing young women with skill building aiming to increase their participation in leadership positions in technical and industrial fields through confidence, mentorship and creation of support network. Aspire Woman University Clubs were launched in 2013 and currently there is 18 university clubs in 18 universities in 11 governorates.